Red & White Stripe Pleated A-Line Skirt Only $16.99! 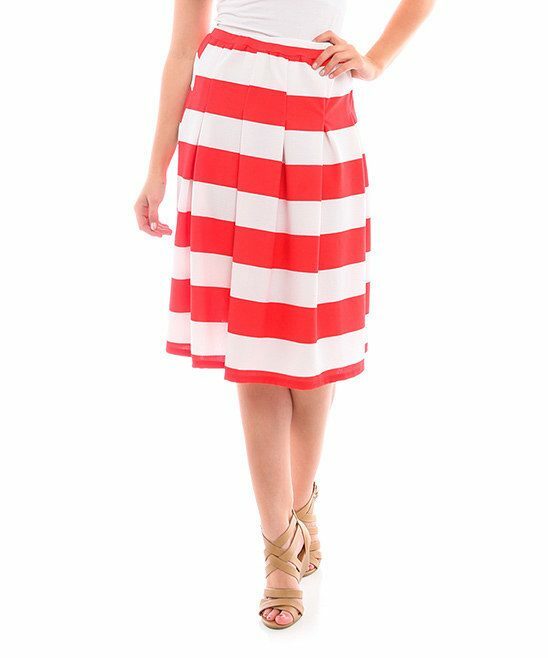 You are here: Home / Great Deals / Red & White Stripe Pleated A-Line Skirt Only $16.99! Featuring pleats, stripes and a classic pattern, this curve-skimming skirt adds timeless style to your ensemble! The Red & White Stripe Pleated A-Line Skirt for Only $16.99 is great for work, for casual evenings out or even a day at the beach! Festive stripes will make you feel cheerful as soon at you pull this out of your closet!